Achieve the sales target, grow the business and keep the customers happy. That’s the objective of every business at the end of the day. While the sales and marketing team of any organization has a large role in this, the after-sales team, i.e. the customer support plays a vital role in the success of a company. Satisfied customers, more often than not, are loyal customers. They are also the key to organic marketing — sending customers your way by spreading the word about your company. Employing a large customer support team isn’t a viable solution for most companies and that’s where DataKnowl’s V-Agents come to the rescue! An intelligent, AI-powered, omnichannel solution for the optimization and automation of next generation Customer Service, V-Agents or Virtual Agents are chatbots always available 24 hours a day, 7 days a week on web, mobile and messaging platforms, ensuring that your customers are always assisted. Computer generated, virtual characters who stand in for the real Customer Service representative, V-Agents are powered by Artificial Intelligence. How do chatbots ensure excellent Customer Service ? If the customer asks for the price of product X, then show him the price. Customer support chatbots primarily function on the simple if-then-else workflow, which has been pre-programmed. Effective in the beginning, this workflow allows chatbots to respond to most simple and straightforward queries. 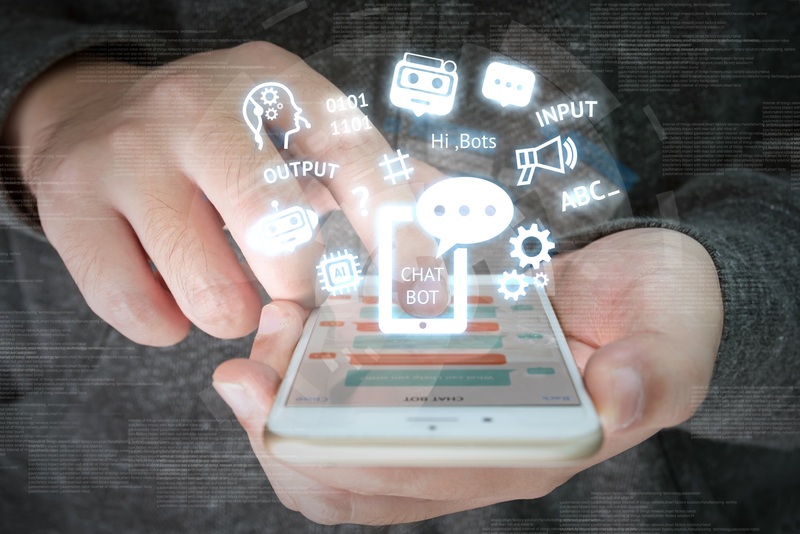 However, this isn’t enough, because customers being human may frame the query differently, resulting in a delivery of an incorrect response from the chatbot. An interaction with a machine, after all, can’t replace human interaction, capable of nuanced conversation. This is where Artificial Intelligence comes into play. Based on the principles of AI and Natural Language Processing, DataKnowl’s V-Agents are built to understand the customers’ questions better, helping companies avoid the tricky loop of “if..then” sequences, which don’t always respond correctly to the customers’ questions. How do DataKnowl’s V-Agents work ? Artificial Intelligence allows V-Agents to learn from every interaction, cataloguing different intents based on deep sentence structures. DataKnowl works with you to coach the V-Agent to understand the customers’ intentions. To do this, you will have to enter multiple question sequences, classified by intentions, to train the V-Agent to answer appropriately, even if the query is framed differently. The agents are then trained to provide answers or perform actions, based on the customers’ intentions and “knowls” (“knowl” is a unit of knowledge). By analyzing intentions, the V-Agent plans one or more goals to meet. Each goal consists of one or more actions. More information is available in this tutorial, and in the knowledge base, here. V-Agents not only consult the knowledge base entered into the DataKnowl Platform to respond to customers, but also learn from all conversations with customers, gradually increasing their effectiveness. They can be programmed to seamlessly pass over the conversation to a human agent, if needed. Available in six languages, i.e. English (EN), Italian (IT), German (DE), Spanish (ES), French (FR) and Czech (CZ), DataKnowl’s V-Agents will soon be available in other languages too. Sign up for the free plan for V-Agent today to see for yourself how V-Agents can help you achieve your sales targets, grow your business and keep your customers happy.